As founder of Robot Productions, Cash is the event director of the annual GreazeFest. 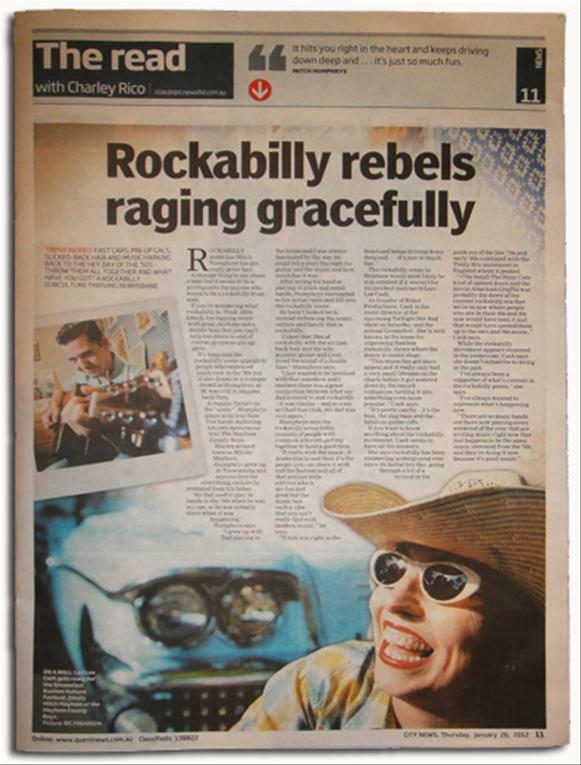 She is well known in the scene for organising flawless rockabilly shows where the music is centre stage. "This music has got mass appeal and it really only had a very small lifespan on the charts before it got watered down by the record companies turning it into something even more popular. It's pretty catchy - it's the beat, the slap bass and fabulous guitar riffs." While the rockabilly movement appears stemmed in the yesteryear, Cash says she doesn't subscribe to living in the past. "I've always been a supporter of what's current in the rockabilly genre" she says. "I've always wanted to represent what's happening now. There are so many bands out there now playing every weekend of the year that are writing music right now that just happens to be the same music stemmed from the 50s and they're doing it now because it's good music."